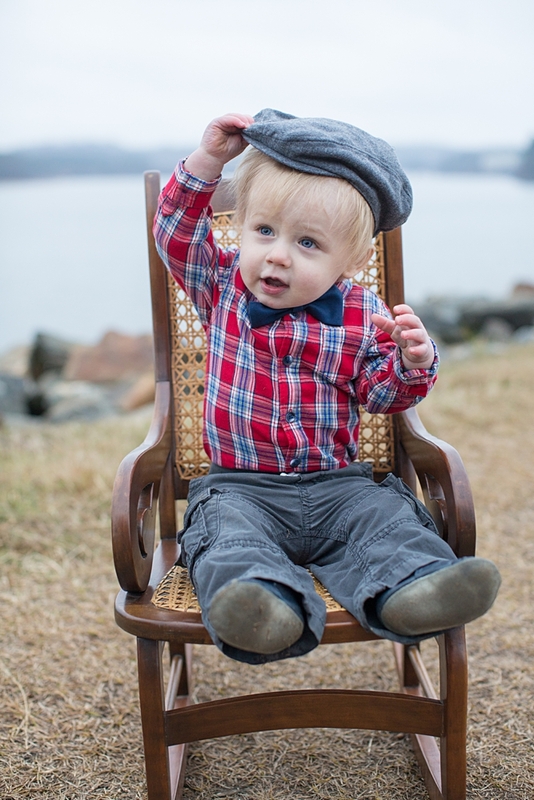 I've had the joy of taking Zachary's pictures at 3 months, 6 months, 9 months, and 12 months. 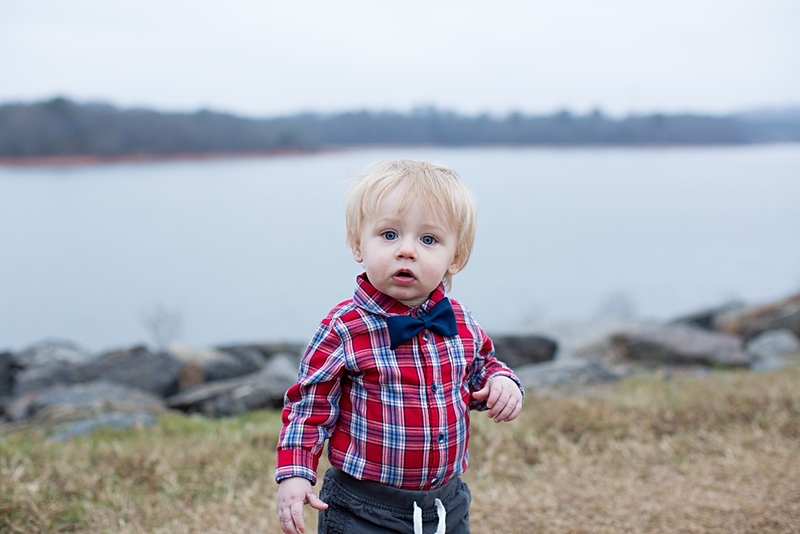 It's been a blessing getting to capture his growth from a baby into a little boy! 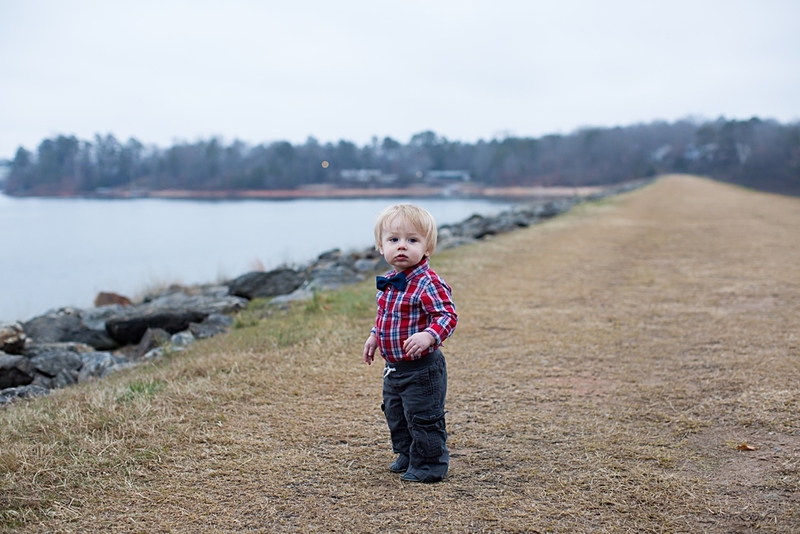 We did this shoot on the dikes at Clemson University. 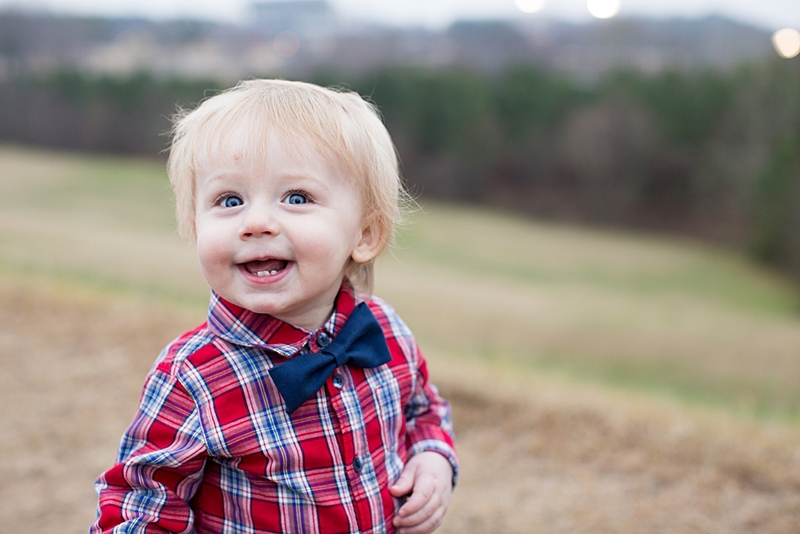 It was freezing and rainy Monday afternoon and we only had about 30 minutes, but Zachary was still happy and I was able to capture some shots of his adorable smile! 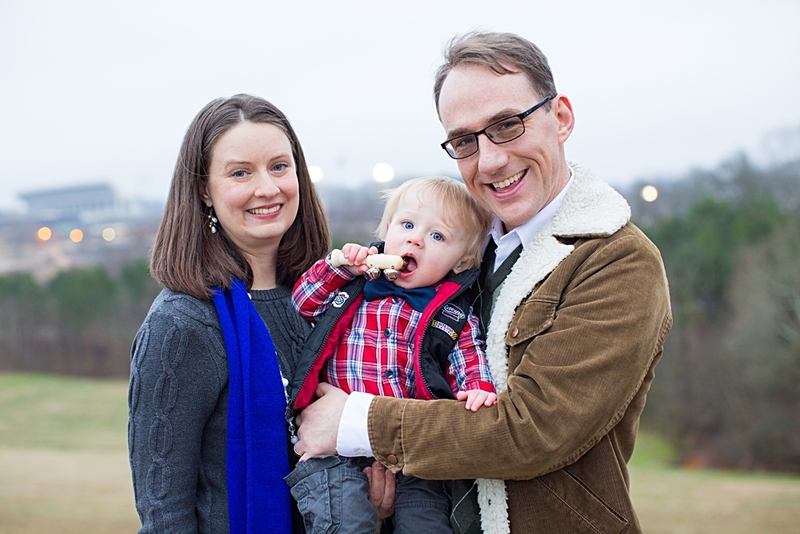 I love Zachary's bowtie and red plaid shirt (I'm always a fan of bow ties on little boys!) and the adorable wooden rocking chair Sandra brought with her. I'm on the lookout for a rocking chair like this for future sessions so please let me know if you see one for sale!